"With the global expansion of our business, we have seen a dramatic increase in the number of FM Approved fire pumps and pump packages worldwide," notes Dave Fuller, manager of FM Approvals' fire protection group. "This means that more and more manufacturers must rely on multiple facilities for distribution and shipping, and with that have come additional challenges to ensuring complete FM Approved pump packages are being supplied. By requiring more details be included on the pump or pump package label, we are increasing the transparency of this requirement to the end user. This creates a stronger paper trail and easier verification, and will help all parties involved should there ever be a question about a specific fire pump package." Anvil Fire has seen instances of other distributors assembling different manufacturers together in their shop to save money. 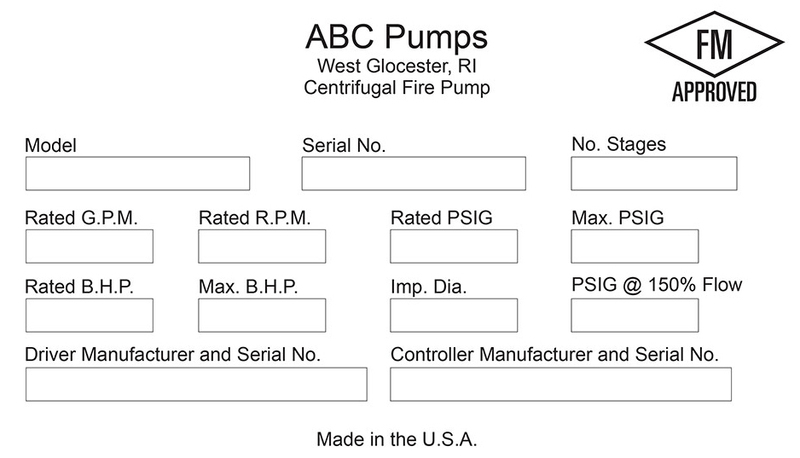 However, FM Global has always required that the serial number of the pump and controllers to be recorded at the factory. It is clear that FM Global is trying to further enforce this requirement.